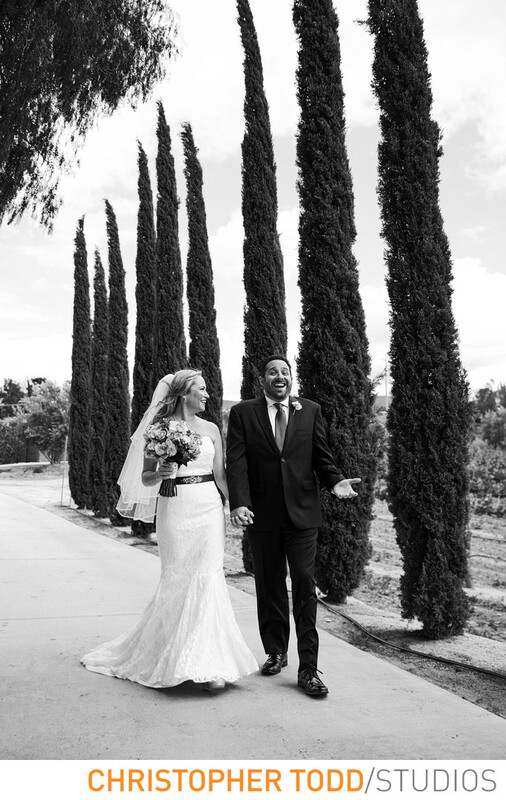 Danza del Sol Winery in Temecula is a Spanish style estate where the wedding reception is held and the ceremony takes place in the courtyard overlooking the vineyard. We would love to be your special event or wedding photographer. 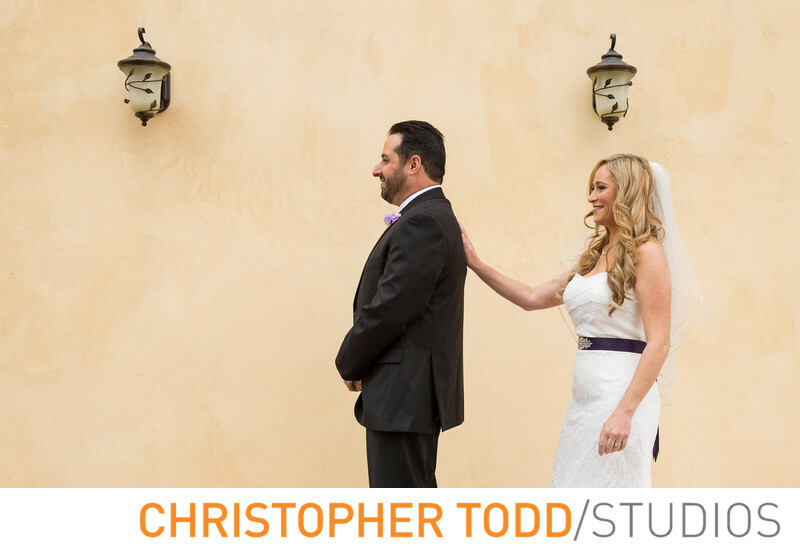 My favorite part of the wedding day is taking the bride and groom on their photo shoot just after they have exchanged wedding vows. The energy and excitement is so elevated and in the moment. Here at Danza del Sol Winery I take the bride and groom on a photo tour of the property snapping unforgettable moments along the way. With the long row of Cyprus trees and beautiful sunsets couples can't believe they are in Southern California. Nestled in a 40-acre vineyard, Danza del Sol Winery is located on the De Portola Wine Trail in the heart of Temecula Valley, just 45 minutes from San Diego. 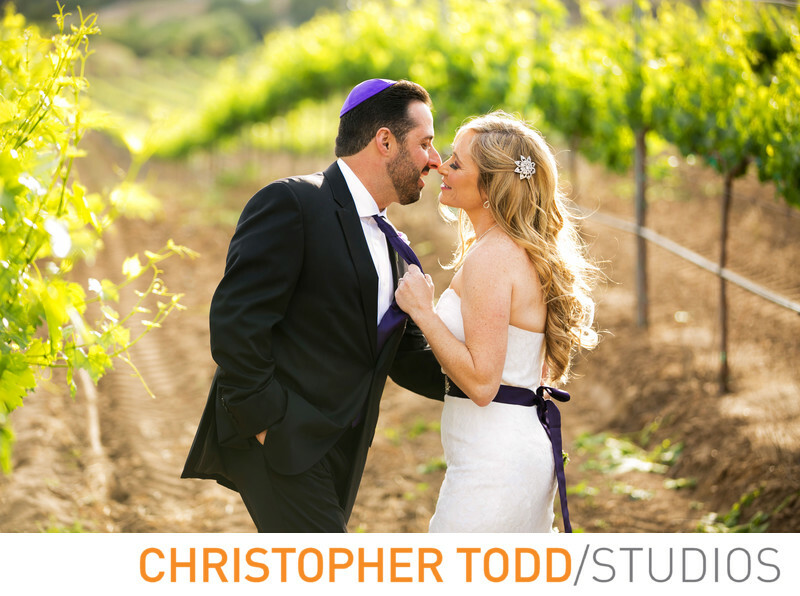 Rustic, authentic and bold this winery will wow all your wedding guests. The Spanish style estate is where the wedding reception is held and the ceremony takes place in the courtyard overlooking the vineyard. Danza del Sol Winery wants your wedding day to be a memorable, stress-free affair so they have a comprehensive wedding package that covers all the wedding details.